Businesses and individuals in Arizona know that they can turn to Atkinson, Hamill & Barrowclough, P.C. when they become involved in bankruptcy proceedings. So too can out-of-state businesses when they become involved in bankruptcy proceedings taking place in Arizona. We represent creditors, investors, business entities, commercial lenders and banks in all types of bankruptcy cases, as well as in adversarial proceedings in bankruptcy cases, whether plaintiff or defendant. In any bankruptcy case, issues may arise that require quick action by a creditor to protect itself, such as cash collateral issues, stay relief issues, landlord and tenant issues, and disputes over a proposed Chapter 11 or 13 reorganization plan. We have the experience to provide effective assistance to our clients in all of these matters, and to help develop and implement strategies in any type of bankruptcy case to help our clients achieve their goals efficiently and effectively. We are knowledgeable in all facets of bankruptcy and have have represented business clients from numerous industries in liquidation matters, reorganization cases and workouts. We have represented asset purchasers, equity holders, secured creditors and unsecured creditors through all phases of the bankruptcy process, helping them maximize their recovery and minimize their losses. In addition to the usual disputes that arise in a bankruptcy case, we also have the knowledge and experience to help you in many other types of actions that may arise in a bankruptcy case. Some of those you may want to bring as a creditor in a particular case, such as an action seeking to bar the bankruptcy debtor’s discharge, or to bar the discharge of your particular claim, or a motion to obtain appointment of a chapter 11 trustee or to dismiss the bankruptcy case in its entirety. In other instances, you may need assistance because you are the target of a debtor or trustee’s action to recover funds from you, such as a preference action, a fraudulent conveyance action, or an action because the bankrupt debtor is alleging you have violated the automatic bankruptcy stay. In all of those matters, Atkinson, Hamill & Barrowclough has the experience to help. In still other instances, you may be faced with particular issues because of the industry you are in. For instance, landlords have particular rights and obligations when their tenants file bankruptcy, and various issues may arise depending on the type of bankruptcy filed, and whether the debtor or trustee wants to reject your lease, assume your lease, and possibly assign your lease to another third party. We are knowledgeable and can assist you with all of those matters. 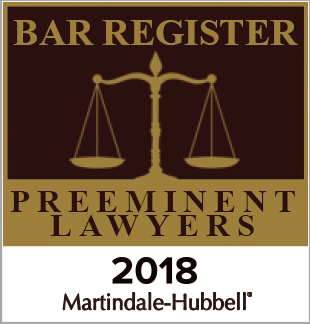 If your customer, borrower or tenant files for bankruptcy protection, or is pursuing you in the bankruptcy for a stay violation, preference action, or fraudulent conveyance action, then Atkinson, Hamill & Barrowclough, P.C. can help you. Contact us online or call Patrick Barrowclough at 602-222-4826.